Cross the Pine Island Bridge from the mainland into Matlacha and begin a journey into a special part of old Florida. In this historic fishing community that is home to many artists, you feel the daily pressures slip away. You’ll be surrounded by water, where pelicans and great blue herons circle above moored fishing boats, brightly painted galleries and fresh fish markets. We will tour three art galleries and allow time for shopping along the way. 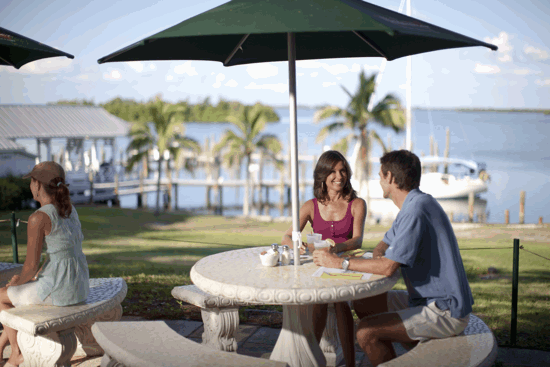 Enjoy lunch at Tarpon Lodge, an historic 1926 landmark on Pine Island. Sample fresh, locally caught seafood and relax while taking in waterfront views of beautiful Pine Island Sound. pineislandchamber.org/ and tarponlodge.com/ Minimum: 5 Maximum: 10 Level: Easy. Attire: Cool and comfortable. Walking shoes. Sunscreen. Sunglasses. Hat. Meet Captiva Cruises at the Westin Dock and cast off for a day of island-hopping. A local guide will share his stories and a few off-the-grid islands accessible only by boat. Get away from it all and cruise to remote stretches of coastline while dolphins play in the boat’s wake. Enjoy a stop at Cayo Costa State Park for nine miles of beautiful shelling beaches, mangrove swamps, nature trails and pine forests. This pristine barrier island paradise is available only to those traveling by boat. For lunch, we head to Cabbage Key and up the hill to the open-air restaurant that sits on a 38-foot Indian mound. No cars or paved roads here. A “cheeseburger in paradise” and delicious Key lime pie are on the menu. Visitors have taped one-dollar bills to every surface and you will want to add yours. captivacruises.com/ www.floridastateparks.org/park/Cayo-Costa cabbagekey.com/ Minimum: 10 Maximum: 15 Level: Relaxing. Attire: Beachwear. Sunglasses. Sunscreen. Hat. Towels will be provided. 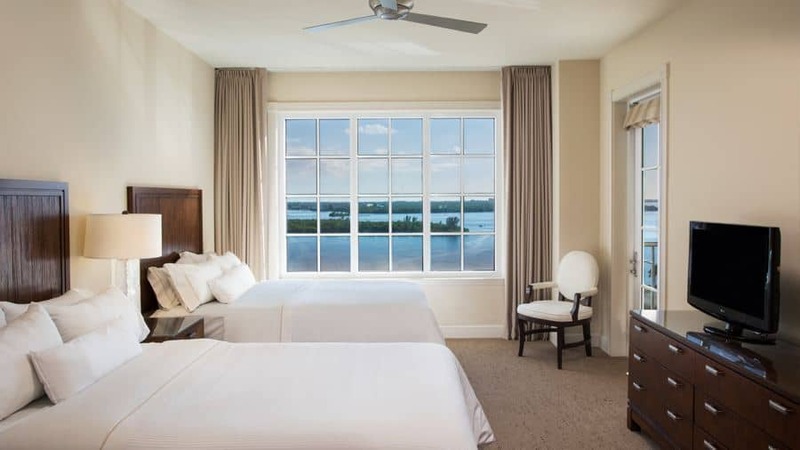 Catch a boat at the Westin dock and head for a day on Fort Myers Beach. Known for family-friendly resorts, Gulf-side seafood restaurants, and an energetic nightlife on seven miles of white, sandy coastline. Visit Times Square, a unique shopping and dining area located at the Fort Myers Beach Pier. Lunch will be on the waterfront at Nervous Nellies, a casual, family-oriented restaurant with a selection of appetizers, fresh seafood and overstuffed sandwiches. Nellies is an island dining spot that is popular with visitors and locals. www.nervousnellies.net/ Minimum: 5 Maximum: 10 Level: Relaxing. Attire: Beachwear. Sunglasses. Sunscreen. Hat. Towels will be provided. Get ready! Tour CenturyLink Sports Complex, spring training venue for the Minnesota Twins and then it’s on to JetBlue Park, where the Boston Red Sox spring train. Time for lunch at Fine Folks Pizza where you will have to decide between some 30 pizza options and have the chance to master the sport of dough-throwing. Then it’s on to Norman Love Confections for a walk (and samples!) 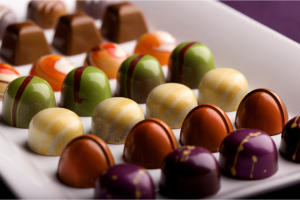 through his delicious gourmet chocolate factory and a chance to see how it’s done and why it has been named the best premium chocolate company in the U.S. six times. End the day at Fort Myers Brewing Company, voted “best large brewery in Florida.” www.leegov.com/parks/facility?fid=0225 www.leegov.com/parks/facility?fid=0050 www.normanloveconfections.com/ www.fmbrew.com/ Minimum: 5 Maximum: 12 Level: Easy. Attire: Casual. Comfortable shoes. Sunscreen. Head to the Westin dock and Captain Ryan will guide you on a fishing adventure that you won’t soon forget. Captain Ryan has fished these waters his whole life and his knowledge makes for an unforgettable day on the water. 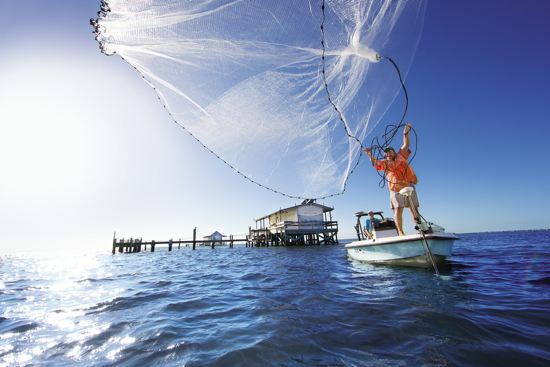 Second only to shelling and sunbathing, fishing is the most popular pastime on The Beaches of Fort Myers & Sanibel. And it’s not hard to see why. 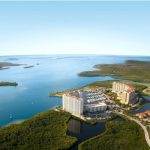 Dense mangrove islands and warm, placid flats attract countless species of saltwater fish, while the long and wide Caloosahatchee River teems with schools of freshwater fish. These conditions, combined with endless onshore entertainment and gorgeous Gulf Coast sunsets, result in the most unbeatable fishing Florida has to offer. Sport fishing for tarpon has a long history in this area and Boca Grande Pass is known internationally as the “Tarpon Capital of the World,” hosting the World’s Richest Tarpon Tournament each May. Don’t forget your camera. Everything else is provided including lunch. www.southerninstinct.com/ Minimum: 2 Maximum: 5 Level: Love of Fishing Attire: Cool clothing. Sunglasses. Sunscreen. Hat. Visitors come from all over the world to shell on Sanibel Island, where they find beautiful beaches that offer gifts from the sea. From first-time scavengers to seasoned shellers, they perfect the associated posture referred to as the “Sanibel stoop.” Money magazine recently cited Sanibel Island one of eight “gorgeous vacation spots to help you de-stress in 2018.” Visit includes a beach walk with a docent from the Bailey-Matthews National Shell Museum and a tour of the museum with more than 30 exhibits of mollusks from around the world, shells in art and history, shell habitats and rare specimens. Boxed lunch provided. www.shellmuseum.org/ Minimum: 5 Maximum: 10 Level: Easy. Attire: Beachwear. Sunscreen. Sunglasses. Hat. Towels will be provided. If sailing is on your bucket list, this is the adventure for you! As America’s No. 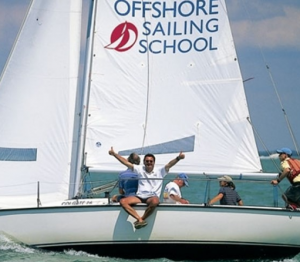 1 sailing school, Offshore Sailing’s US Sailing- certified instructors will show you how fun, peaceful and exciting sailing is! Tour leaves from South Seas Island Resort on Sanibel Island. Learn the basics and then participate in a friendly race. No sailing experience is required for this exciting day on the water. Boxed lunch provided. www.offshoresailing.com/ Minimum: 5 Maximum: 10 Level: Sailing experience not required. Attire: Appropriate for a day on the water and in the sun. White-soled shoes (sneakers or boat shoes are perfect). Sunglasses. Sunscreen. Hat. Tarpon Bay Explorers Located on Sanibel Island, the refuge is part of the largest undeveloped mangrove ecosystem in the U.S. It’s world famous for its spectacular migratory bird populations. 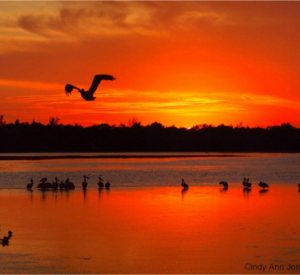 Created to safeguard and enhance the pristine wildlife habitat of Sanibel Island, it protects endangered and threatened species and provides feeding, nesting and roosting areas. The refuge provides habitat to more than 245 species of birds, a four-mile scenic drive, paddling/hiking/biking, observation towers and a visitor education center. Tour includes the Indigo Trail Walk and choices of a nature and sea life cruise, biking or a tram tour with Tarpon Bay Explorers. Boxed lunch will be provided. www.fws.gov/refuge/jn_ding_darling/ tarponbayexplorers.com/ Minimum: 15 Maximum: 30 (10 sea life cruise, 10 tram tour, 10 biking) Level: Moderate walking. Attire: Comfortable walking shoes. Cool clothing. Sunglasses. Sunscreen. Hat. The Veranda’s romantic setting in two turn-of-the-century homes combined with their Southern regional cuisine, an extensive wine list and first class service staff will grant you one of the most unique dining experiences in Southwest Florida. Celebrating 34 years in business, the Veranda is consistently honored as one of the top award-winning restaurants in the area. Serving South West Florida since 1952, the Farmers Market Restaurant is the longest operating restaurant in Lee County serving the finest southern food you have ever tasted. Using recipes passed down generations, our friends keep coming back for the best home cooking you can get. Come put the taste of the south in your mouth! No alcohol service at this restaurant. Twisted Vine Bistro is located in downtown Fort Myers’ historic River District, across from the newly renovated River Basin. We offer only the freshest seafood, certified Angus Beef and other unique, innovative entrees. We also feature an extensive boutique wine list, with over thirty wines by the glass.Twisted Vine prides itself in an extraordinary dining experience. We even grow our own herbs and spices in our courtyard garden, which is available for private parties and events. We source local ingredients as much as possible and have a unique relationship with the sustainable, Roots Heritage Urban Farm. We purchase seed stock for farmers to grow select produce, exclusively for Twisted Vine Bistro. Whatever we don’t use, we donate back to the community and residents who do not have access to fresh produce.We like to have fun with food and host a variety of wine dinners throughout the year. 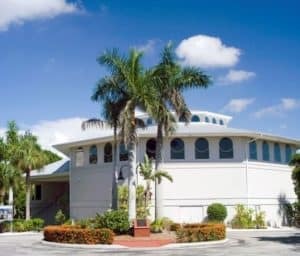 We also provide live entertainment on the weekends, are big supporters of the Florida Reparatory Theatre, Sidney and Berne Davis Art Center and host networking events during the week to help connect the community. Fish Tale Grill evolved from our own seafood market Merrick Seafood. Family owned and operated for over twenty-two years, Merrick Seafood has been providing fresh seafood to over two hundred and fifty of your favorite restaurants with the quality and service we are renowned for. Our seafood comes in fresh daily and is filleted by our onsite fish cutters. From their knifes to your table. It truly doesn’t get any fresher than that! So come sense what twenty-two years of experience tastes like here at Fish Tale Grill. Welcome to The Prawnbroker Restaurant & Seafood Market, located in Fort Myers, Florida, where you’ll find all your favorite local seafood, steaks and more! We promise you’ll be hooked! American & Southern eats & full bar presented in a restored vintage home with indoor-outdoor dining. Craft beer culture and area beach communities create a laid- back, welcoming lifestyle. Therefore, it’s no surprise so many locally owned breweries call Southwest Florida home. 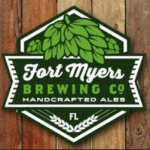 Craft breweries here in The Beaches of Fort Myers & Sanibel possess unique styles, welcoming atmospheres and passion for the craft. 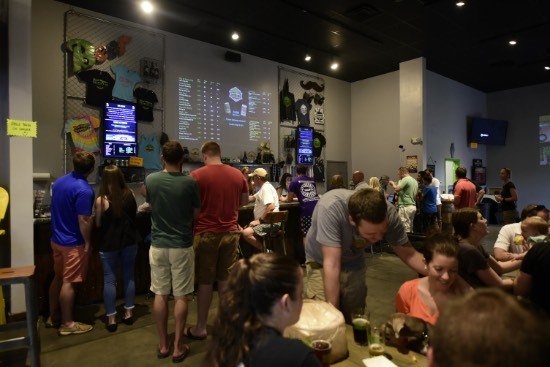 When it’s beer time in Lee County, 10 locally owned breweries are worth a visit. We will pop into a couple, have a tour and enjoy a few samples. www.fortmyers-sanibel.com/local-breweries Minimum: 5 Maximum: 12 Level: Light walking. Attire: Cool and casual. Comfortable walking shoes. 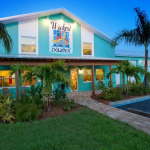 Tour Cape Coral’s popular Wicked Dolphin Distillery and learn how ingredients are sourced, the process of cooking, fermenting, distilling and then head to the barrel room to see how the rum gets its unique color and taste. After the tour we will visit the tasting room to sample Wicked Dolphin rums! wickeddolphinrum.com/ Minimum: 5 Maximum: 12 Level: Light walking. Attire: Cool and casual. Comfortable walking shoes. Walk in the footsteps of two of America’s most influential individuals, Thomas Edison and Henry Ford. 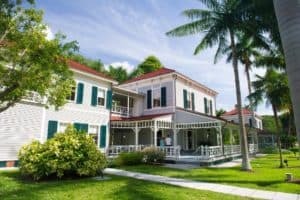 Set on the banks of the Caloosahatchee River in the Fort Myers historic district, the Edison & Ford Winter Estates demonstrate the innovation and creativity of these two friends. 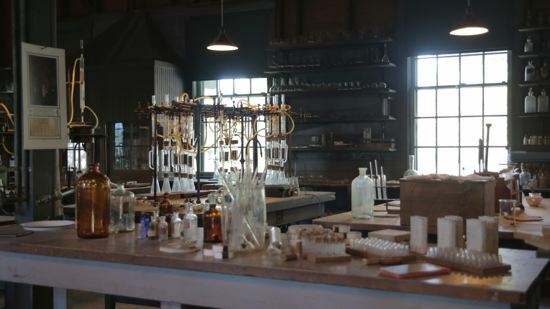 Tour both homes, the caretaker’s house, pool complex, Edison Botanic Research Laboratory and gardens. www.edisonfordwinterestates.org/ Minimum: 5 Maximum: 20 Level: Light walking. Attire: Cool and casual. Comfortable walking shoes. Sunglasses. Sunscreen. Hat. 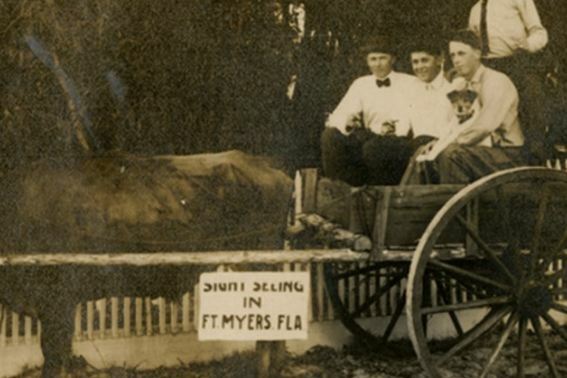 TrueTours Learn about the cattlemen, merchants, railroad men, and inventors along with civic-minded, philanthropic women who settled in downtown Fort Myers. 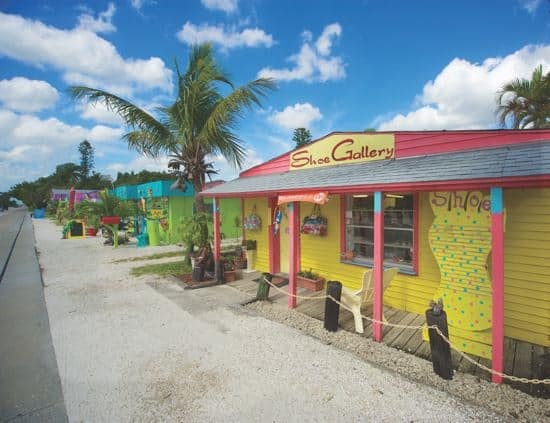 This charming historic district on the Caloosahatchee River is filled with stories and you will hear them all on this walking tour. You will get to experience the award-winning renaissance of this vibrant area. truetours.net/ Minimum: 5 Maximum: 10 Level: Moderate walking. Attire: Cool and casual. Comfortable walking shoes. Sunglasses. Sunscreen. Hat. Enjoy an afternoon outdoors as you kayak the waters surrounding the hotel. It’s a perfect getaway for outdoor enthusiasts and nature lovers. 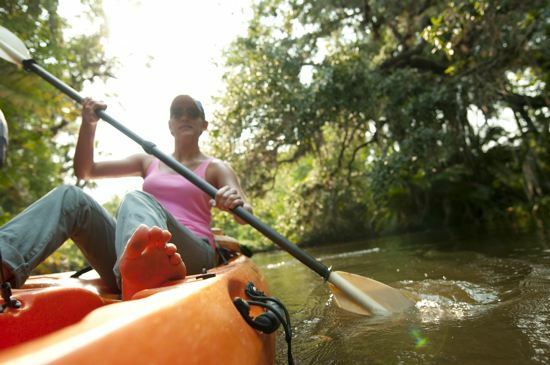 With a professional guide, explore navigable waterways, stunning nature preserves and see wildlife as you take some time to soak in the great outdoors. Minimum: 5 Maximum: 12 Level: Easy (good if you have done this before) Attire: Swim shoes or anything that can get wet. Hat and Sunscreen.